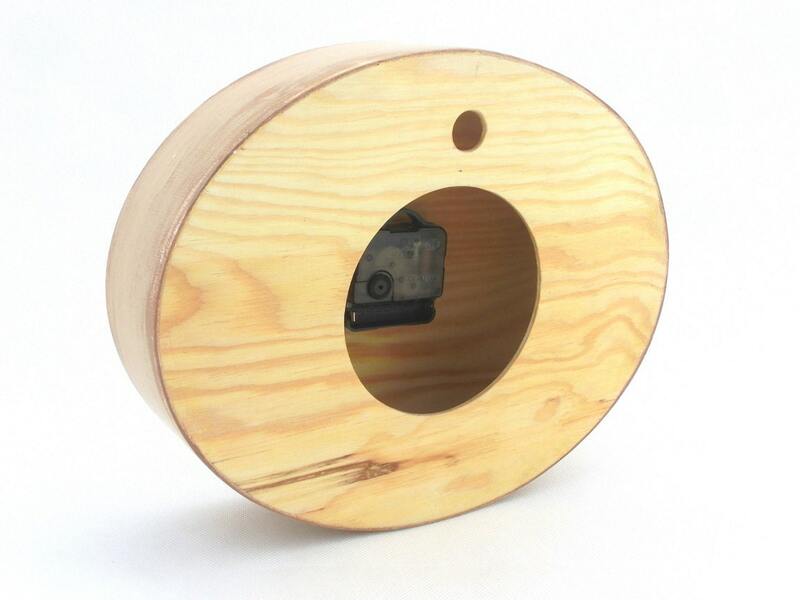 Tan ellipse clock 12 inch width with acrylic paints protected ecological varnish. 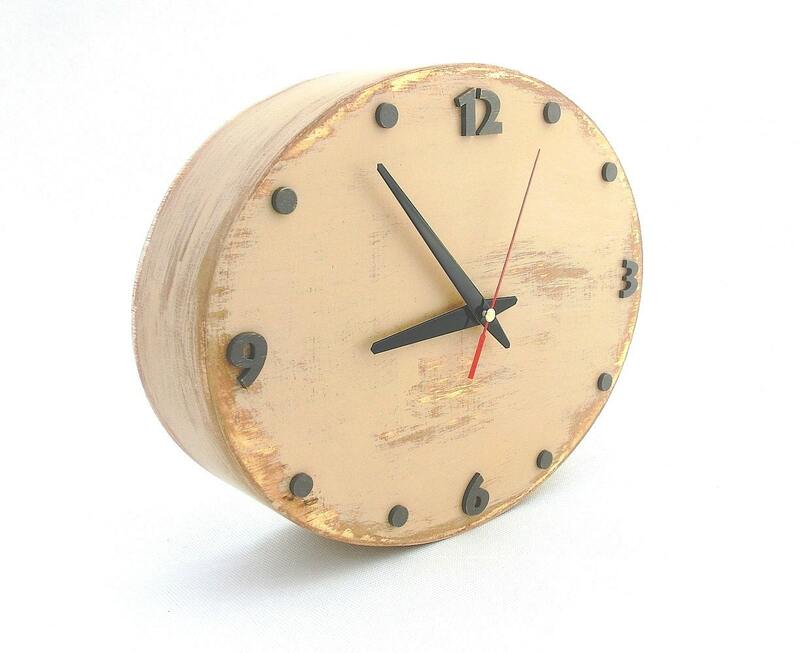 Wall clock that will decorate your room and would be a perfect gift. 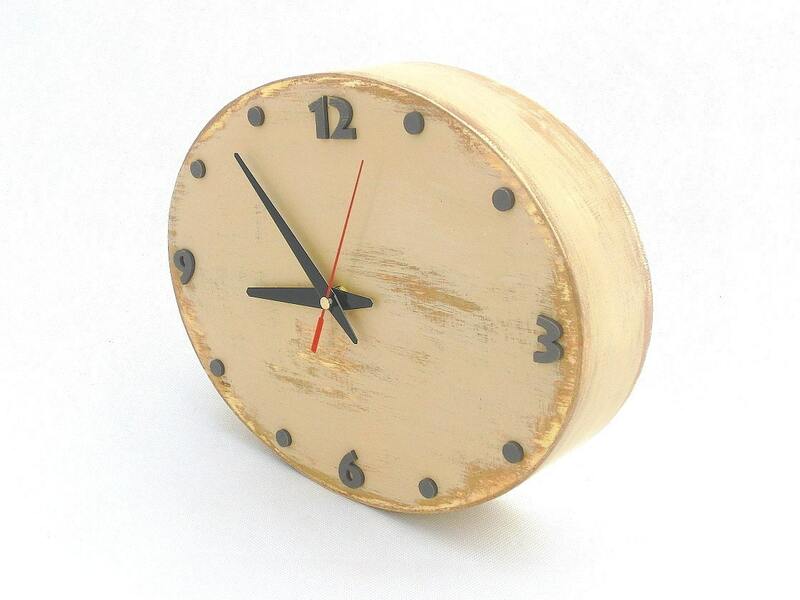 This clock is entirely made at ArtmaStudio.